These results suggest that the nitrates in cured meat are driving the association between cured meat consumption and mania. Individuals with comorbid schizophrenia and narcolepsy are exposed to increased prevalence of various risk factors and worse clinical outcomes compared with individuals with either disorder alone. Abuse-deterrent opioid formulations have not yet been widely accepted despite their proposed value in reducing opioid abuse and related mortality. Many of the current barriers to broader use are related to their higher cost compared with conventional formulations. Research has been insufficient to elucidate the prevalence, course, and clinical correlates of rapid cycling in bipolar disorder. There are a number of very plausible hypotheses of what it is about childbirth that is such a potent trigger for severe postpartum episodes in women with bipolar disorder. 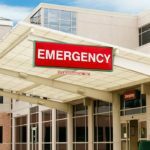 An AAEP task force created recommendations for medical evaluation of psychiatric patients presenting to the ED. New findings suggest that DSM-5 criteria may apply to betel use disorder and offer opportunities to advance the study and understanding of substance use disorder in general.